OPEN HOUSE, SUNDAY, APRIL 28TH 12PM TO 3PM. 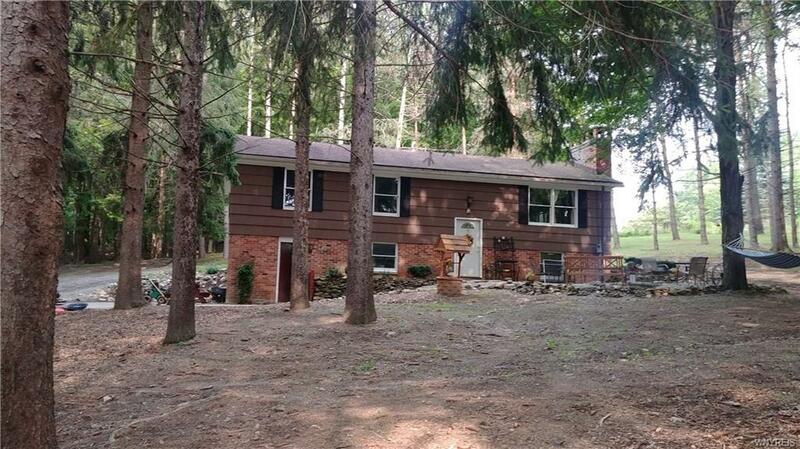 This Hillside, Raised Ranch with a Private country setting absolutely breathtaking located within minutes from the village of East Aurora & Orchard Park...Walking distance to Waldorf school. Beautiful wooded lot with minimum outdoor maintenance with a camping like seating area with Fire pit. Open floor plan includes 1st floor laundry & possible 3rd bedroom with New Bella Bamboo hardwood floors throughout. Pellet fireplace in living room and Gas fireplace in bonus room located in the lower level which includes the 2nd full bathroom and Dry Bar for entertaining. three season Florida room off kitchen with views of the private wooded lot. Roof 17yrs, HWT & Furnace 3yrs. Owner will listen to all offers.